Leftover Halloween Candy? Make a new recipe! Hey look, my hair got straighter in four years! By my first year of college, I was already that artsy girl who would would give out handmade gifts, hand-monogrammed gloves, and personalized shot class sets. I was a little like that girl Melissa Joan Hart plays in Can't Hardly Wait that was crazed about getting her yearbook signed. I knew that every photo I was in or was taking would be important to me and to my friends down the line. 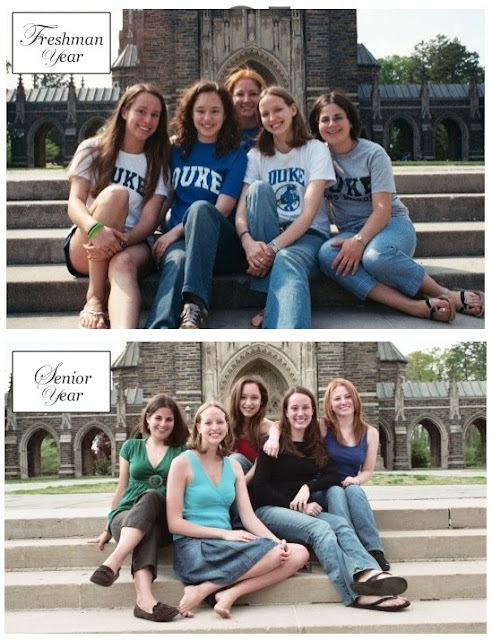 With that in mind, by the end of freshman year, I'd concocted the following project for me and my best friends at Duke. Every year, let's take the same photo- by the time we graduate (hopefully in four years, right?) 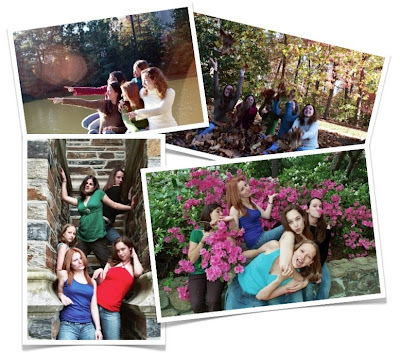 we'd have a photographic keepsake to last us a lifetime and a time capsule of how hot we looked in college. Double the awesome, essentially. We set out for Duke Chapel - the most incredible chapel of all the universities I've ever attended, by far. We had planned to take one picture. We ended up doing a photo shoot for over two hours all around the campus and in the beautiful Sarah P. Duke Gardens. So was born a tradition we continued for all four years of college, through countless exams, one wedding, several med school, dental school, and pharmacology school acceptances, and not nearly enough trips to the Dillo for nachos. As you can see from above, having these photos and the ones I've included below captured a lot of special moments for us and is a great way to look back at how we've changed. We're now living in LA and working for Disney, going to Med School in Cleveland, married and in Dental School in Chapel Hill, just been promoted in DC, and getting a PhD/owning her first HOUSE in Nashville! Who knows what the next set of pictures will have in store? 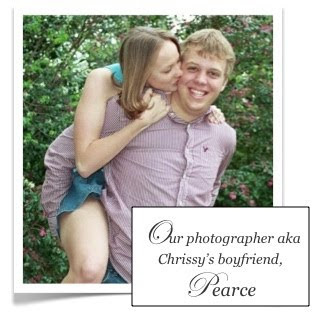 There's no telling, but I'm really glad we took those few hours every year to document our time together. Anyone check out the awesome Muppet cameo today on Google? Thought I should share. Enjoy the clip below, it's my all time favorite Cookie monster moment! I have a few friends that are not big fans of eating seafood. What a shame really - fish is so healthy and so easy to prepare! For the fans of the fruit of the sea, here's a favorite recipe from Kraft Foods that takes virtually no time to prep and yields really delicious results. MIX mayo, cheese, dill, and pepper until well blended; set aside. PLACE fish in shallow foil-lined pan; drizzle with lemon juice. Top with mayo mixture; spread to evenly cover fish. Sprinkle with cracker crumbs. I like to serve with asparagus and rice... nom nom nom. You may have already noticed that I've started a list of links on the right-hand side of the page for recommended sites dealing with everything from Home Decorating to Filmmaking, whatever your pleasure. As I've become more involved with blogging, I've discovered so many wonderful blogs that I've decided to share them in a recurring post - Another Beautiful Blog Discovery. Each time I find a treasure on the net, I'm going to share it with all of you! If you have recommendations for blogs to be featured, please send those along as well. Today's BEAUTIFUL BLOG is Full House (vivafullhouse.blogspot.com). I discovered it through exploring the links on Young House Love and bouncing from one of their recommended blogs to Full House. Full House is an incredibly well-photographed blog that details the adventures of a crafty mother of 5 (two twin girls and three triplet boys!) and how she survives it all with inspiring wit and grace. Her blog is a fantastic resource for home design inspiration, parenting advice and reflection, and just fun little anecdotes to read. Be sure to check it out when you have a few minutes. In the future, you can also find the link to full house on my "Home/Apartment Decorating" Link List! I've got four letters for you for online shopping, ETSY. No, not eBay... Etsy - a fantastic website that's one-stop shopping for anything and everything homemade. All those crafts you love to discover at a flea market? They're available online on Etsy and at a reasonable price. Moreover, you can comission all kinds of custom art and items. A special birthday gift, a personalized piece of jewelry, even a throng of customized party favors for a wedding that are truly unique! (They have a whole section just devoted to handmade wedding crafts). I discovered Etsy about a year ago and in that time, I've purchased from several different artists. Below, I've put together a few of my favorites for finding art prints. I encourage you to explore their stores and to go forage around Etsy on your own sometime. If you're a creative shopper like me, you won't be disappointed! I've already shared with your her gorgeous Audrey Hepburn prints in a previous post. I also own the two prints below. 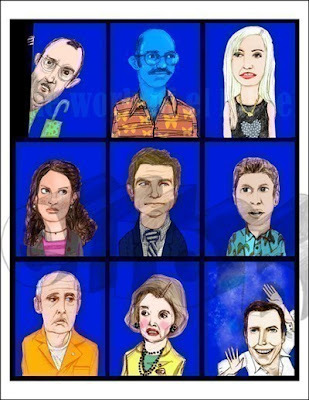 Ellen Lohse has put together a fantastic site with whimsical prints dedicated to quirky television shows and films. She's got a whole series with characters from "The Office" (both British and American versions) and the stars of "Lost." Poke around, you may discover she's already honored your favorite movie! 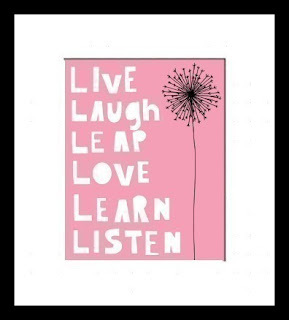 Dazeychic is a Minnesota-based artist with a ton of beautiful, modern prints with heartfelt quotes. 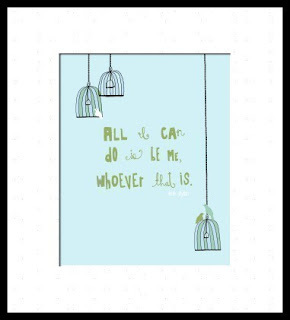 I got the Bob Dylan quote print below to remind me of the importance of being true to myself at all times. I've also included another print I'm a big fan of. 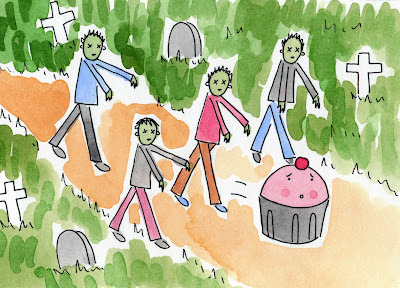 I discovered Cakespy, the fun cupcake-themed artwork of Jessie Oleson, on a favorite cupcake blog of mine- Cupcakes take the cake. 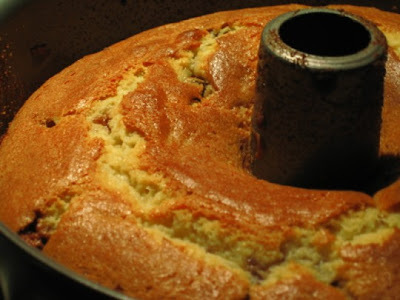 Perfect for your kitchen, especially if you're a baker - check out Cakespy. Stay tuned for another Spotlight on Etsy in a different category - jewelry, photography, clothing, who knows! I've got lots of favorites I'd love to share here. Til then, go find some of your own. Once you open a free account, you can explore and collect your own favorites on your profile! Favorite sellers or specific items. Most importantly, have fun! My original inspiration for this project was an article I read in a magazine. It highlighted the fact that when you put modge podge (or a little glue mixed in water) over tissue paper, the paper becomes translucent and you can read whatever is underneath. To start, you may want to do what I did which was quiz your gift recipient with a mysterious survey about themselves. I asked Gus questions like "Five favorite movies, five favorite places, five favorite quotes, etc.)" Then, I took his answers and used them to create different passages for the collage in a Word document on my computer (using various fonts and sizes of text). For example, in the photo above - you may spot lyrics from U2's "Yahweh" as well as several different locations like Hawaii and Brussels. Once you have this complete or have chosen other text you'd like to use - proceed below! Gather your pieces of paper with text on them. 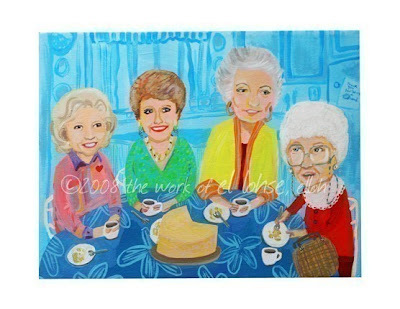 Arrange as you'd like them to appear on your collage on top of your canvas. Working from the top down, use a mixture of water plus a teaspoon of glue in a cup/modge podge and a foam brush to affix the pieces how you've arranged them. Use your fingers to press out any bubbles that might form between the paper and the canvas at this time. Make sure to put a coat of the glue/modge podge over top of the text to seal it. Once you've gotten all your text on the canvas, let it dry. In the meantime, start tearing up your colored tissue paper however you'd desire. When ready and when the text is dry, use the same glue/modge podge and brush technique to affix the tissue paper directly on top of your collage. When you brush across the top of the tissue paper, the wetness should make it become translucent and you should see your text appear beneath it. Allow at least 2 hours to dry then present to your lucky recipient! I'm a huge fan of sites like Tastespotting and Food Gawker - visual search engines of food, glorious food! If you follow these at all or just take a quick look today, you'll notice that baking with pumpkin is in crazy season right now! In that spirit, I'm sharing my favorite Pumpkin recipe with readers over at my friend Lindsey's blog, Bite Me, in a guest post. Head over there today to check out the recipe and start baking your own delicious-smelling cake of pumpkin goodness. Spotted this around the blogosphere - delicious recipes to make with your leftover halloween candy! CDKitchen has a huge index of halloween candy using recipes, so be sure to check that out too if you're in a baking mood post-holiday. Parenthood.com also has a Top 10 with great tips on what to do with the candy beyond just baking with it, here. 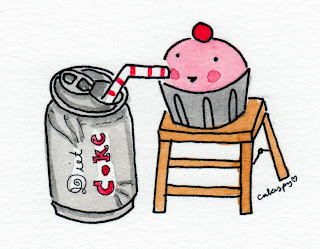 Good luck getting rid of all that extra sugar through the great therapy of baking!